Defining the American Pit Bull Terrier temperament is a difficult task because there is a great deal of variability within this breed. In fact, some would say that the Pit Bull dog is not really a breed at all! Some argue that the term “Pit Bull” is, in reality, a blanket term used to describe a wide variety of dogs with certain similar physical characteristics. Indeed, the breed “Pit Bull” is not recognized by the American Kennel Club. 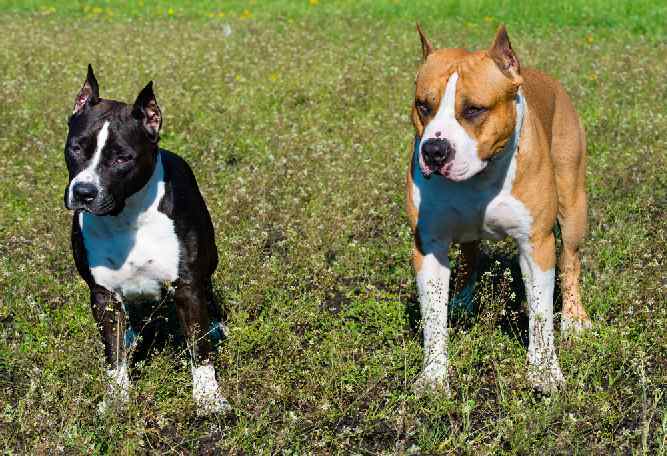 When DNA tests are performed on dogs labeled Pit Bulls, they often turn out to be mixes of AKC breeds such as American Staffordshire Terriers, Staffordshire Bull Terriers, Boxers, American Bulldogs, English Bulldogs, Labs, and other breeds as well! To make things more confusing, while the American Kennel Club does not recognize the Pit Bull Terrier as a distinct breed, the United Kennel Club (in England) actually does recognize the breed! Undeniably, there is a great deal of controversy surrounding the definition of this breed. However, most people have a basic understanding of the dog commonly referred to as a Pit Bull through popular culture and the media. On the other hand, few people know the true history and temperament of this popular American dog breed. Understanding Pit Bull history is helpful for understanding Pit Bull personality. In the 1800s, bull baiting was a popular blood sport in the U.K. This activity consisted of multiple dogs (called bulldogs) forced to fight against a bull. Spectators would bet on the outcome. In 1835, bull baiting was deemed cruel and it was outlawed in England. Subsequently, English citizens devised a new sport called dogfighting. They crossed bulldogs with terriers to create quick, agile dogs that could be pitted against each other for human amusement. While animal aggression was encouraged, dogs that displayed any aggression towards humans were culled. Handlers wanted to be able to control their dogs, even in the midst of a fight, so “man biters” were destroyed and not allowed to breed. As a result, this new Pit Bull breed gained a reputation for being quite trustworthy with humans. Immigrants brought these dogs to America where they quickly became part of the new society. They were popular as working dogs on farms where they protected the homestead and hunted vermin. During WWI, a Pit Bull named Sergeant Stubby was a mascot for American bravery. Pit Bulls were prevalent in popular culture of the 50s and 60s. They were depicted as all-American family dogs on television shows like The Little Rascals. However, in the 1980s, socioeconomic pressures forced many disadvantaged communities to turn to unlawful activities such as crime, drug dealing, and dogfighting. Pit Bulls were wildly over-bred as a means to make money. Meanwhile, insurance companies, landlords and even some cities passed rules and legislation stereotyping Pit Bulls and prohibiting them. The result is a modern day animal welfare crisis. Shelters are inundated with friendly but unwanted Pit Bulls, and there are limited outlets for them. Thankfully, there are advocates who are working to protect these dogs, change minds, and promote responsible pet ownership of all breeds. Do you want to be the center of someone’s universe? Adopt a Pit Bull Terrier! Pit Bull Terriers exhibit loving, loyal, and devoted temperament traits. They idolize their owners and want to be with them every second of the day. Your Pit Bull will follow you from room to room like a shadow. Some owners even have to install extra latches on the bathroom door to maintain a little privacy. Pit Bulls are very snuggly. They like to press themselves against you and touch you as much as possible. They love to sleep in the bed if you let them. Fair warning- they snore. If you adopt a Pit Bull, make sure you have enough time to give them the attention and love that they need. If you work long hours, a Pit Bull Terrier puppy might not be a good fit. Consider adopting an older Pit Bull instead. You can also explore doggie daycares and/or dog walkers if you have to leave your Pit Bull alone for long stretches of time. When you leave your Pit Bull home alone, make sure to leave him with enrichment items such as bully sticks, Kongs, food puzzles, and durable toys. If you do not provide enough attention and stimulation, your Pit Bull could develop nuisance behaviors such as barking, chewing or digging. Since Pit Bulls are so people-focused, they can be prone to separation anxiety. If your Pit Bull has anxiety about being left alone, try crate training him so he will have a safe space when you have to leave him alone. You can also try calming music and pheromone plug-ins like dog appeasing pheromone (DAP). If the anxiety is severe, seek help from a professional positive reinforcement trainer. Pit Bull Terriers are intelligent and trainable dogs. They enjoy training because it is an opportunity to work in partnership with their favorite person (you!). Pit Bulls also LOVE food! They are highly motivated to work for tasty treat rewards. Pit Bulls have been trained for all kinds of jobs including bomb detection, narcotics detection, service dogs, emotional support dogs, and search and rescue (SAR). A Pit Bull type dog named Shadow even learned how to pilot a small airplane in a British reality television show called Dogs Might Fly. The show was hosted by positive reinforcement trainer, Victoria Stillwell, and it featured 12 dog trainers competing to train their 12 rescue dogs how to fly a plane! Pit Bulls Terriers have an active temperament and are athletic dogs. They need a lot of exercises to stay happy and healthy. Pit Bulls make great buddies for jogging or hiking and hey love to play fetch and tug with toys in the backyard. They make excellent competitors in canine sports such as agility, weight pull, and Frisbee. In fact, a rescued Pit Bull named Wallace won a national championship for flying disc. If Pit Bulls do not get adequate exercise they can be hard to handle. They can become jumpy, mouthy, and destructive. Click here to see what exercise can do for bad dog behaviors. If you do not have the time or energy for a young Pit Bull Terrier, adopting an older Pit Bull might be a great choice for you! As they get older, Pit Bulls become more calm and lazy. Senior Pit Bulls (lovingly called “Elderbulls”) are textbook couch potatoes! As discussed earlier, Pit Bulls were historically bred to display aggressive tendencies towards other animals but never towards people. This continues to be true to this day. The majority of Pit Bulls in households across the country are generally friendly and affectionate towards people. According to the American Temperament Testing Society, Pit Bulls consistently receive a passing score that is comparable to most other popular dog breeds. As of 2018, the Pit Bull pass rate was actually higher than many common household names including Golden Retrievers, Collies, and Australian Shepherds. They make great family dogs and they adore children. As with all dogs, they should be socialized and supervised with kids. Although there are countless examples of Pit Bulls living harmoniously with other animals, animal aggression can occur in this breed. In general, terriers of all varieties have a tendency to be scrappy with other animals. Pit Bull Terrier owners need to be aware of this tendency and need to be extra responsible with their dogs. It is important to socialize your Pit Bull Terrier and reward him for friendly behavior towards other animals. Obedience classes can help with this process. Avoid dog parks where you have little control over the interactions. Instead, set up small play dates or sign him up for doggie daycare where playgroups are monitored by professionals. Set him up for success by avoiding confrontational situations such as head-to-head on-leash meetings with other dogs. Know your dog and do not push him past his threshold when playing with other dogs. While this is true for all dogs, it is especially important when your dog is a potential ambassador for a misunderstood breed. It is up to you to manage all situations around other animals (and humans) in a positive way. One behavior that can be a source of embarrassment for Pit Bull owners is a behavior called leash reactivity. A dog that is leash reactive will pull on the leash, bark, lunge, and act out when it sees another animal out on a walk. Just because a dog is leash reactive does not mean it is dog-aggressive. In fact, many times leash reactivity is pent-up excitement/frustration about seeing another dog and not being able to greet it. Training a dog that is leash reactive is counterintuitive. Do not scold or punish your dog. This will actually increase your dog’s anxiety every time he sees the trigger. Instead, praise your dog and dispense treats (even if he is barking). Over time, this will change his reaction to the stimulus. He will realize that the trigger makes great things happen! Rather than barking, he will look at you for his reward. Can Pit Bull Terriers live with cats? Nearly all varieties of terriers have a high prey drive towards small, fast-moving critters. The Pit Bull is no exception. 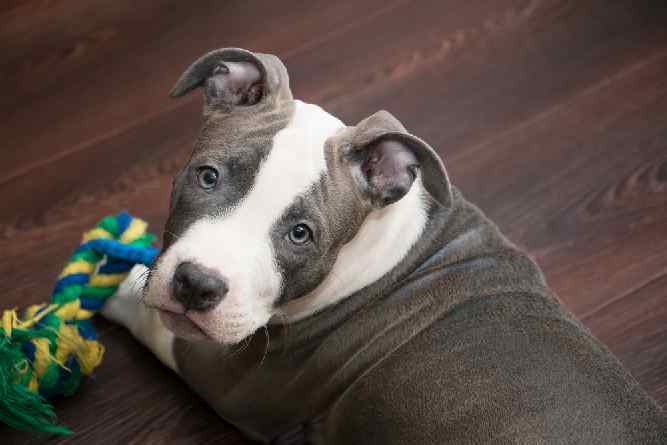 Most Pit Bulls are not ideal choices for homes with felines. 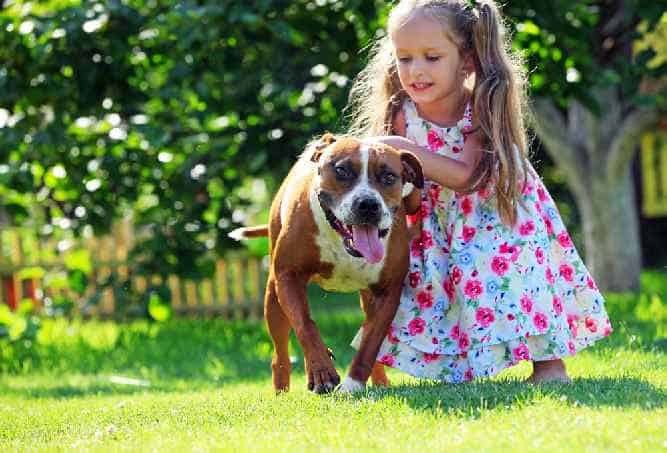 While some Pit Bulls live peacefully with cats, rabbits, ferrets, or other small furry animals, caution should be exercised during these interactions. Even if your cat and your Pit Bull Terrier seem to get along swimmingly, separate them when you leave them unsupervised. If your Pit Bull Terrier is not animal-friendly, you should take some extra precautions when you bring him out in the community. Always walk your dog on a short leash and a harness for extra control. Do not use a Flexi-leash. If you are concerned that off-leash dogs might ambush your dog, you can walk your dog with a basket muzzle or carry a citronella spray to repel off-leash dogs that approach your dog. Since there is no official AKC breed standard, the Pit Bull Terrier weight, height, and appearance vary widely. For example, a Pit Bull Terrier dog weight can be as low as 30 lbs or as high as 60 lbs. Petite Pit Bulls are sometimes referred to as “pocket pitties” or “mini pits” or “micro pits.” These are not actual breeds, just affectionate nicknames. The Pit Bull Terrier height can vary between 17 and 21 inches. Pit Bulls come in all colorations. Blue nose Pit Bulls and red nose Pit Bulls are very popular. Other colorations include brindle, grey, white, black, and tan. Combinations of these colors are also acceptable. The only color pattern not typically seen in Pit Bulls is merle. Pit Bulls with blue eyes are rare but do exist. 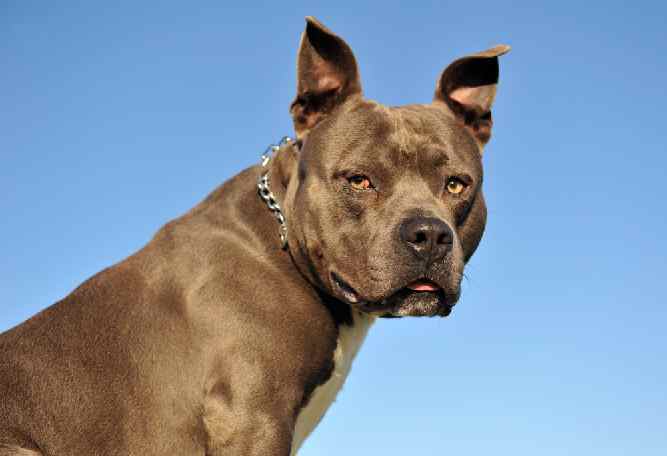 Pit Bull ear cropping is theoretically legal but discouraged because it can lead to health issues such as ear infections. It also interferes with dog-to-dog communication. Pit Bulls shed very little. Their coats are easy to care for with occasional brushing and bathing. Pit Bulls are not technically hypoallergenic. However, if you are looking for a dog that is low-maintenance in the grooming department, a Pit Bull is a great choice! Their short coats do not provide much warmth, so if you live in a cold climate, you might need to purchase some Pit Bull dog accessories such as vests and sweaters. The Pit Bull breed can be prone to allergies, itchy skin, and other skin issues. A daily supplement such as fish oil or omega-3 oil can help. If the issues are severe, seek veterinary attention. Like all dogs, Pit Bulls should visit the vet once per year for vaccines and a wellness check. Pit Bulls should be on flea and heartworm prevention at all times. Spaying and neutering are very important for health reasons as well as to control overpopulation. With good care, the average Pit Bull lifespan is approximately 12 to 14 years. Pit Bulls are smart, eager to please, and fun to train! They are highly treat-motivated, so positive reinforcement is the way to go. Do not use aggressive, dominance-based methods with this or any breed. Never use shock collars, choke chains, pinch collars or alpha rolls. Instead, enroll your Pit Bull in a positive reinforcement obedience class. This type of training is effective, humane, and enjoyable for the dog and the owner! If you are motivated, you and your Pit Bull could even earn your Canine Good Citizen (CGC) title! Some people might tell you that you have to “be tough” or have a “heavy hand” to train a Pit Bull but this is not true. Pit Bulls learn just like every other dog breed. You teach them the same way you would teach a Poodle or a Pomeranian or any other type of dog. For help with training your American Pitbull Terrier dog take a look at The Online Dog Trainer by Doggy Dan. Doggy Dan is an expert Dog Trainer based in New Zealand. His online resource contains Hundreds of Excellent Dog Training Videos that will take you step-by-step through the process of developing a healthy, happy well-behaved dog. We found that the American Pit Bull Terriers did not have any unique mechanism that would allow these dogs to lock their jaws. There were no mechanical or morphological differences. There is no difference between the nervous system of a Pit Bull and any other breed. They do not have a higher threshold for pain. In fact, when you take your Pit Bull to the vet for his routine vaccinations you might find that he is a gigantic baby. Some people claim that Pit Bull Terriers have the strongest jaw pressure of all breeds. However, there is no scientific evidence to back this up. In fact, in a research study conducted by Dr. Brady Barr for National Geographic. A Pit Bull exerted the least amount of bite pressure of the three breeds tested (Pit Bull, Rottweiler, German Shepherd). The National Canine Research Council conducted a comprehensive study of dog bite-related fatalities. The findings were published in The Journal of the American Veterinary Medical Association in 2013. The researchers concluded that there were multiple, co-occurring factors identified in severe dog attacks, but the breed was not one of those factors. And no able-bodied person being present to intervene. Regardless of breed, dog-related fatalities are tragic but extremely rare. These policies have been evaluated over the past 20 years. In reality, breed bans are less effective than comprehensive policies that hold all dog-owners equally accountable for the proper training, handling, and confinement of their dogs. 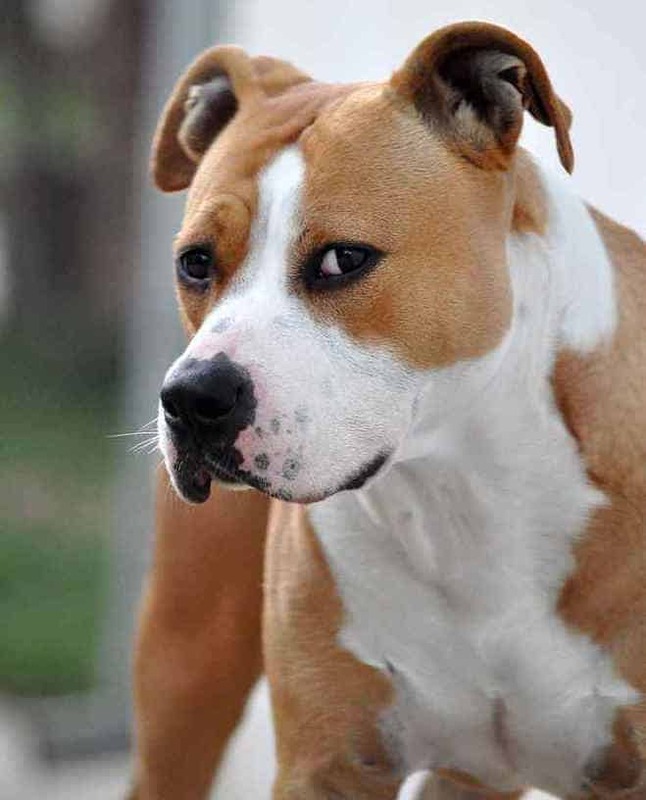 In response to negative, sensationalist press reports pertaining to Pit Bull Terriers, some cities and counties around the world banned the breed. 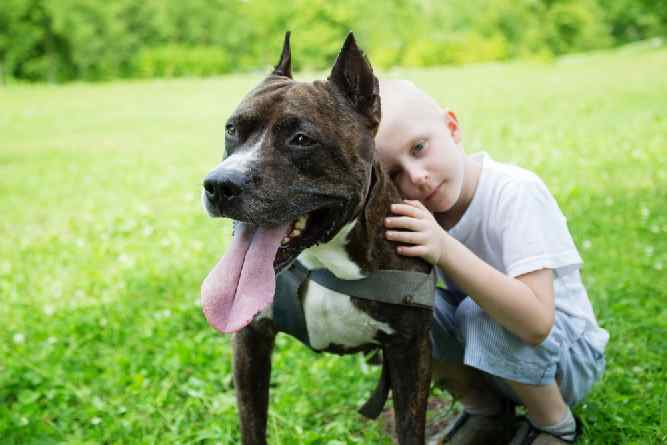 Legislation that discriminates against a certain breed of dog and deems that breed “inherently vicious” is referred to as Breed Specific Legislation (BSL). BSL led to the euthanasia of thousands of Pit Bull type dogs, but no substantial improvement in public safety. BSL was never endorsed by any major national organizations such as the American Veterinary Medical Association, the Centers for Disease Control, the Humane Society of the United States, the American Society for the Prevention of Cruelty to Animals, the American Veterinary Society of Animal Behavior, or the National Animal Control Association. It was also opposed by the American Kennel Club, the National Bar Association and the Obama Administration. In 2013, a cross-Canada study concluded that there was no difference in dog bite occurrences between municipalities with and those without breed specific legislation. Similar reports have been published regarding the ineffectiveness of breed laws in the United States, Italy, Spain, and the Netherlands. Pit Bull Terrier adoption is on the rise. More and more adopters are discovering the fun, lovable qualities of Pit Bulls. If you would like to provide a home for a Pit Bull Terrier or a Pit Bull Terrier mix, you will have your choice of age, color, and size at your local animal shelter. There is no shortage of this breed available for adoption. American animal shelters are overflowing with sweet and healthy but unwanted Pit Bulls. With so many homeless Pit Bulls in need of families, please do not purchase a Pit Bull puppy for sale from a breeder. At this point in time, there is no justification for Pit Bull breeders bringing more Pit Bull puppies into the world with the multitude of dogs being euthanized on a daily basis for lack of homes. Instead, please opt to adopt. Even if you are looking for a puppy you will be able to find one through a shelter or rescue group. The majority of Pit Bull Terriers in animal shelters are there through no fault of their own. Pit Bulls frequently enter animal shelters when their owners move to an apartment where the landlord will not allow Pit Bulls or pit mixes. They also end up in animal shelters due to financial reasons or an owner’s unexpected change of circumstances (divorce, deployment, new job, illness). Sometimes they are simply an accident. Many Pit Bull owners in struggling communities do not have access to spay/neuter resources and inadvertently allow their Pit Bull to have litter after litter of unwanted puppies. Finding the Perfect Pit Bull Terrier! For your first step, visit your local animal shelter or humane society and put an application on file. Let the staff know that you are interested in adopting a Pit Bull Terrier and let them know if there are any traits that you desire. For example, if you would like to adopt a Pit Bull Terrier that gets along with other dogs, you may want to work with an organization that places some or all of their dogs in foster homes. That way, you will be able to find a dog that has a previous history living with other animals. Of course, that does not mean that particular dog will get along with every other animal under the sun, but it is a good starting point. You can also check out national adoption websites such as Petfinder.com, Adoptapet.com, and Getyourpet.com. These sites will allow you to set notifications so you will receive an alert when an adoptable Pit Bull Terrier that fits your criteria becomes available. There are also a few rescue groups that cater exclusively to Pit Bulls. Two of the best-known Pit Bull rescue groups are Bad Rap in California and Animal Farm Foundation (AFF) in New York. 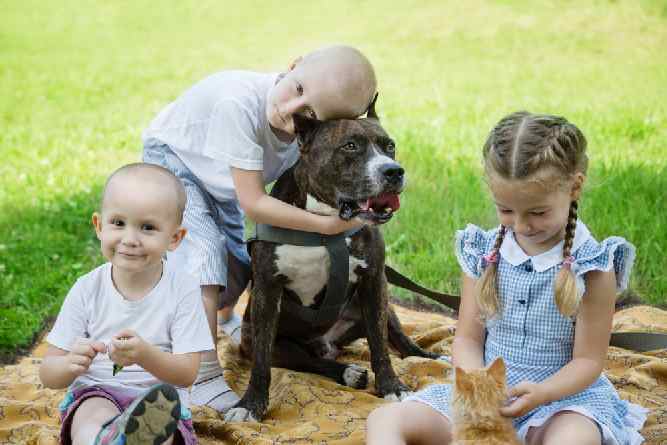 These organizations promote Pit Bull adoption and also offer helpful resources for Pit Bull owners such as tips for housing and insurance. AFF even trains Pit Bull service dogs and places them with qualified adopters. When you adopt a Pit Bull from an animal shelter or rescue group, the Pit Bull price will range between $25 and $200. Adopted Pit Bulls generally come fully vetted and altered. Sometimes the adoption fee will even include a microchip, heartworm treatment, an obedience class, or other special services. Conclusion: Why the Pit Bull Terrier? Although Pit Bull Terriers have acquired a controversial reputation, the vast majority of these dogs are perfectly normal pets living ordinary lives with average Americans all over the country. The Pit Bull Terrier temperament tends to be energetic, fun, intelligent and cuddly. These traits make this breed a great companion for many owners. If you own a Pit Bull Terrier (or any dog!) you must be responsible about knowing your dog, setting him up for success, and socializing and supervising him adequately. If you adopt a Pit Bull Terrier you will join a large family of advocates who love these dogs.